Occasionally we have in stock woods other than quartersawn oak. We stock quartersawn sycamore whenever we can obtain large logs. Eastern Red Cedar boards, 5/4 x 5"
Here is an example of a white oak burl slab that we have available. This slab measures 7/4 thick, 16" wide and 34" long. It is offered at 250.00. 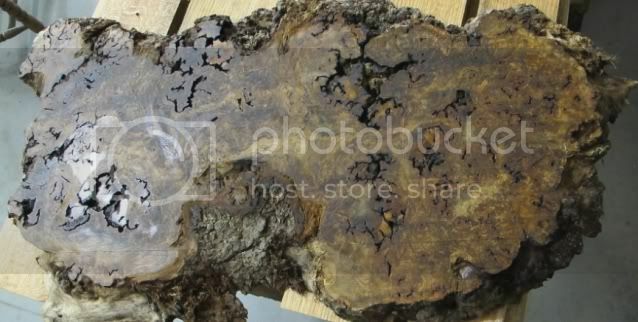 We have larger slabs available from this same burl. 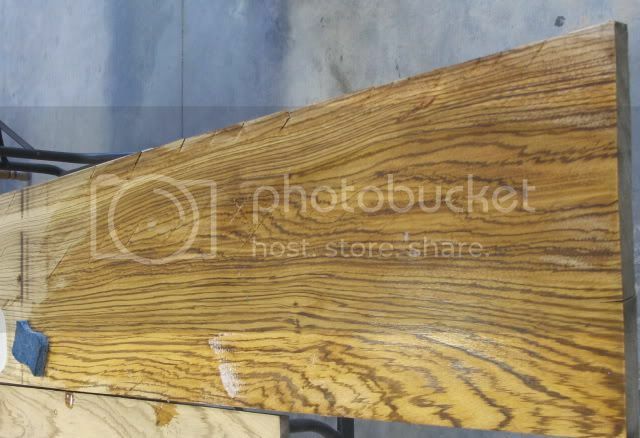 We have a limited availability of zebrawood, primarily 6" - 9" wide and in lengths from 5' - 12' and 4/4 to 5/4 thick. A portion of it has some internal checking, which we are selling at a discount. The better grade of material is offered at 6.00 per board foot, and the checked material is offered at 3.00 per board foot. The photo below depicts a typical board with checks.